Necisto Sytengco, founder of listed chemical manufacturing company SBS Philippines Corp., was named Entrepreneur of the Year by Enterprise Asia during a ceremony for the 2018 Asia Pacific Entrepreneurship Awards (APEA) held December 6 at the Marriott Hotel Manila in Pasay City. 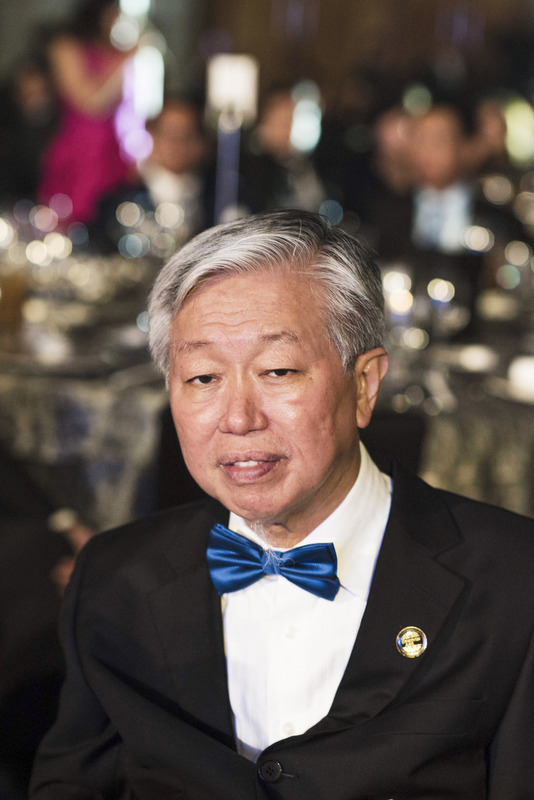 Sytengco, who grew his small trading shop in Manila into a growing listed firm in four decades, bested hundreds of nominees vying for the prestigious title. “We are very thankful [for this recognition] and indeed, this will be our motivation for the continued delivery of what they [our clients and partners] expect and what they deserve,” Sytengco said in his acceptance speech. Just this year, the tycoon became one of the newest entrants in Forbes magazine’s annual list of the richest people in the Philippines, with a net worth of $180 million. To date, SBS Philippines Corp. has a market capitalization of Php10.5 billion. Launched in 2007, APEA is a regional awards program organized by Enterprise Asia. The yearly event seeks to recognize Asia’s outstanding entrepreneurs and enterprises for “demonstrating sustainable growth, responsible leadership and operational excellence.” The award is conferred in a total of 14 countries including Japan, Singapore, Hong Kong and India. The other outstanding entrepreneurs recognized by the organization include Rienzi Ramirez of 24/7 Customer Philippines Inc., Carmelo Casas of Casas+Architects Inc., Robert Blancafor of Robert Blancaflor & Groups Inc. and Dr. Steve Mark Gan of Gan Advanced Osseointegration Center (GAOC). Grundstein Construction & Development Corp. President Oliver Matias, Machica Group founder Michael Machia, and Travellers International Hotel Group Inc. Stephen James Reilly completed the list. A dozen homegrown businesses and corporations were also honored as some of the most excellent in their respective industries. C&E Publishing Inc., Damosa Land Inc. and G-Foxx International Inc. were recognized in the education, property development and direct selling industries respectively. Under the health care category, GAOC was given a corporate excellence award, while Karcher Inc. and KMC Solutions were also recognized. LBC Express Inc., Medilink Network Inc., Reyes Tacandong & Co., United Auctioneers Inc., Viventis Search Asia and Zuellig Pharma Corp. completed the list of companies cited by the organization for this year. “The recipients of the APEA are not only outstanding entrepreneurs and enterprises, but also demonstrated outstanding business acumen that are both sustainable and exemplary,” Enterprise Asia President Dato’ William Ng said. “They all uphold the highest standards of entrepreneurship, which includes allegiance to the two founding pillars of Enterprise Asia, namely investment in people and responsible entrepreneurship,” he added.